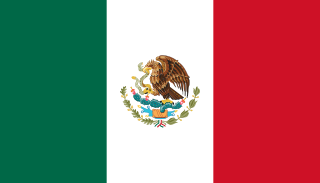 The United Mexican States (Spanish : Estados Unidos Mexicanos) is a federal republic composed of 31 states and the capital, Mexico City, an autonomous entity on par with the states. Spanish or Castilian is a Western Romance language that originated in the Castile region of Spain and today has hundreds of millions of native speakers in the Americas and Spain. It is a global language and the world's second-most spoken native language, after Mandarin Chinese. According to the Constitution of 1917, the states of the federation are free and sovereign in all matter concerning their internal affairs. Each state has its own congress and constitution. A court is any person or institution with authority to judge or adjudicate, often as a government institution, with the authority to adjudicate legal disputes between parties and carry out the administration of justice in civil, criminal, and administrative matters in accordance with the rule of law. 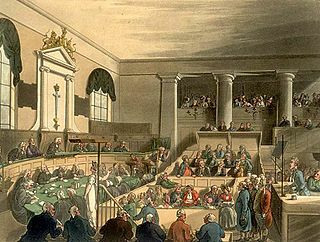 In both common law and civil law legal systems, courts are the central means for dispute resolution, and it is generally understood that all people have an ability to bring their claims before a court. Similarly, the rights of those accused of a crime include the right to present a defense before a court. On September 27, 1821, after three centuries of Spanish rule, Mexico gained independence. The Treaty of Córdoba recognized part of the Viceroyalty of New Spain as an Independent Empire – "monarchist, constitutional and moderate". The new country took the name of Mexican Empire. The morning after the Army of the Three Guarantees entered Mexico City on September 28, 1821, Agustín de Iturbide ordered the Supreme Provisional Governmental Junta (September 1821 – February 1822) to meet to elect a president of the Imperial Regency and to issue a declaration of independence for the new nation. Iturbide was elected president of the Regency, and that afternoon the members of the Regency and the Supreme Junta signed the Declaration. Congress nullified the designation of Iturbide and therefore the recognition of the abdication. It made the coronation of Iturbide seem a logical mistake in consummation of Independence. The dissolution of the Empire was the first political realignment of independent Mexico. The Seven Constitutional Laws (Spanish : Siete Leyes Constitucionales) were promulgated on December 30, 1836. The 1st article confirmed the decree of the law October 3, 1835; the Republic would be divided into departments, these in districts and the districts in parties. The 2nd article pointed that the division of the Republic in departments would be under a special law with constitutional character. On December 30, 1835, a transitory decree was added to the Seven Laws. The decree stated that the territory of Tlaxcala and the Federal District would become a part of the Department of Mexico. 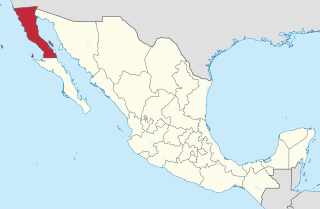 The territories of Alta and Baja California would form the department of the Californias. Coahuila y Texas would be divided into two departments. Colima would form part of Michoacán and Aguascalientes would be declared a department. Guadalupe Victoria, born José Miguel Ramón Adaucto Fernández y Félix, was a Mexican general and political leader who fought for independence against the Spanish Empire in the Mexican War of Independence. He was a deputy in the Mexican Chamber of Deputies for Durango and a member of the Supreme Executive Power following the downfall of the First Mexican Empire. After the adoption of the Constitution of 1824, Victoria was elected as the first President of the United Mexican States. The Mexican Empire was a short-lived monarchy, and the first independent post-colonial imperial state in Mexico. It was the only former colony of the Spanish Empire to establish a monarchy after independence. Together with the Brazilian Empire, it was one of two European-style empires in the Americas. The Mexican Empire lasted two years. Tlaxcala is a state in East Mexico that is divided into 60 municipalities. The Federal Constitution of the United Mexican States of 1824 was enacted on October 4 of 1824, after the overthrow of the Mexican Empire of Agustin de Iturbide. 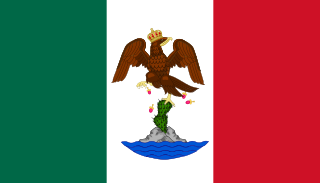 In the new constitution, the republic took the name of United Mexican States, and was defined as a representative federal republic, with Catholicism as the official and unique religion. 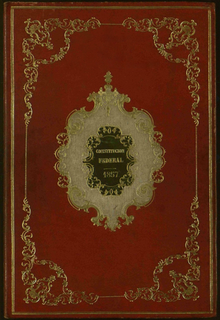 It was replaced by the Federal Constitution of the United Mexican States of 1857. Municipalities are the second-level administrative divisions of Mexico, where the first-level administrative division is the state. As of the establishment of two new municipalities in Chiapas in September 2017, there are 2,448 municipalities in Mexico, not including the 16 delegaciones of Mexico City. The internal political organization and their responsibilities are outlined in the 115th article of the 1917 Constitution and detailed in the constitutions of the states to which they belong. Several hypotheses seek to explain the origin of the name "Mexico", which dates back to 14th century Mesoamerica. The Nahuatl word Mexico means place of the Mexica but the ethnonym Mexicatl itself is of unknown etymology. An alternate possibility is that the name may come from the word mexixin, a cress that grew in the swamplands of Lake Texcoco. It was an edible grass that the Aztecs or Mexica survived on as they settled where today lies México City. Nationality in Mexico is defined by multiple laws, including the 30th article of the Constitution of Mexico and other laws. The Constitution's 32nd article specifies the rights granted by Mexican legislation to Mexicans who also possess dual nationality. This article was written to establish the norms in this subject in order to avoid conflicts which may arise in the case of dual nationality. This law was last modified in 2005. 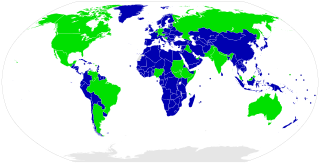 State governments of Mexico are those sovereign governments formed in each Mexican state. The First Mexican Republic, known also as the First Federal Republic, was a federated republic and nation-state officially designated the United Mexican States. "Independence transformed Mexico from Spain's largest and most prosperous colony to a sovereign nation suffering economic decline and political strife." The First Mexican Republic lasted from 1824 to 1835, when conservatives under Antonio López de Santa Anna transformed it into a centralized state, the Centralist Republic of Mexico. The Provisional Government of Mexico, was an organization denominated Supreme Executive Power which served as Executive to govern México between 1823 and 1824, after the fall of the Mexican Empire of Agustín I. 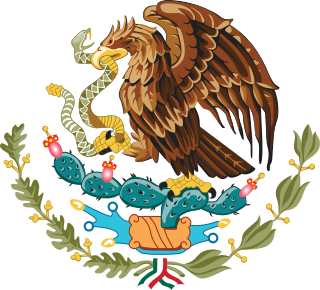 The organization was responsible for convening the creation of a Federal Republic, the United Mexican States and was in effect from April 1, 1823 to October 10, 1824. The Second Federal Republic of Mexico is the name given to the second attempt to achieve a federalist government in Mexico. 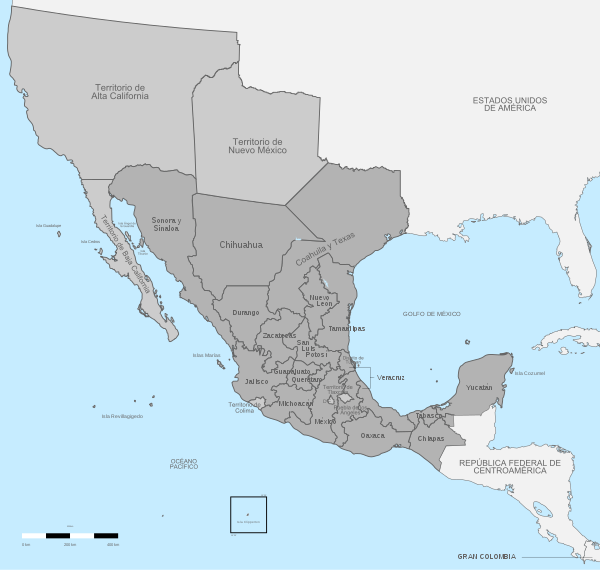 Officially called the United Mexican States, a federal republic was implemented again on August 22, 1846 when interim president José Mariano Salas issued a decree restoring the 1824 constitution. Like the Mexican Empire, the First Federal Republic and the Centralist Republic it was a chaotic period, marked by political instability that resulted in several internal conflicts. Mexico's loss of the war with the United States saw half the territory Mexico claimed become part of the United States. Even though Antonio López de Santa Anna played a major role in much of this history, he returned to the presidency yet again, selling northern territory coveted by the United States contiguous to territory it just gained in the Treaty of Guadalupe Hidalgo. The sale of the Mesilla Valley was for many the final straw, and liberals promulgated of the Plan of Ayutla, calling for the overthrow of Santa Anna. Santa Anna went into exile and the liberals set about implementing their vision of Mexico. The Centralist Republic of Mexico, or in the anglophone scholarship, the Central Republic, was officially the Mexican Republic. It was a unitary political regime established in Mexico on October 23, 1835, under a new constitution known as the Seven Laws after the repeal of the federalist Constitution of 1824. 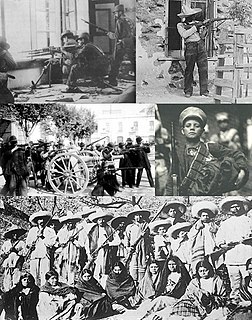 Mexican conservatives attributed the political chaos of the federal era to the empowerment of states over the federal government, participation of non-elite men in the political system through universal male suffrage, rebellions, and economic stagnation to the weakness of the federal government. Conservative elites saw the solution to the problem as abolishing the federal system and creating a centralized one, reminiscent of the colonial era. Federalism had given a range of powers to Mexican states, their legislatures and municipalities. 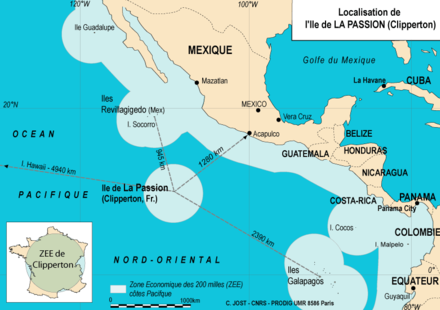 It was favored by the states outside the center of Mexico. Those favoring a centralized state were the conservative urban elites. Mexican conservatives saw federalism as a failure and Mexico not prepared for such a system. They considered the ideal form of government as a centralized, administrative republic, with the states losing power to the central government. Conservatives with the support of the Mexican army created the Central Republic, which lasted eleven years, 1835–46. The unitary regime was formally established on December 30, 1836, with the enactment of the Siete Leyes. However, the Seven Laws proved unworkable and were abandoned four and a half years later, and replaced by a military dictatorship under Antonio López de Santa Anna. On August 22, 1846, acting President José Mariano Salas issued the decree that restored the Constitution of 1824 and, with this, the return to federalism. ↑ Article 40 of "Federal Constitution of the United Mexican States" (PDF). Supreme Court of Mexico. p. 105. Archived from the original (PDF) on May 11, 2011. Retrieved April 5, 2011. ↑ "Catalogo de Municipos y Localidades por Estado". ↑ "Ponen fin al DF tras 191 años; Senado aprueba Reforma Política". 16 December 2015. ↑ "24 de agosto de 1821. Se firman los tratados de Córdoba". Gobierno Federal. Archived from the original on September 21, 2010. Retrieved October 5, 2010. ↑ "21 de julio de 1822. Agustín de Iturbide es coronado emperador de México". Gobierno Federal. Archived from the original on October 6, 2010. Retrieved October 5, 2010. ↑ "La Transición del Imperio a la Republica (1821–1823)". Estudios de Historia Moderna y Contemporánea de México. Retrieved October 5, 2010. ↑ Suárez y Navarro, Juan (1850). Historia de México y del general Antonio López de Santa Anna. México. p. 23. 1 2 "La Transicion del Imperio a la Republica o la Participacion Indiscriminada" (in Spanish). ↑ "El Viajero en México (Pág. 30)" (PDF). CDigital. Retrieved October 5, 2010. ↑ "División Territorial de los Estados Unidos Mexicanos (1810–1995) Pag.21" (PDF). INEGI. Retrieved October 5, 2010. ↑ "01 de julio de 1823. Las Provincias Unidas del Centro de América se independizan de México". Gobierno Federal. Archived from the original on September 20, 2010. Retrieved October 5, 2010. ↑ "Acta constitucional presentada al soberano Congreso Constituyente por su comisión" (in Spanish). ↑ "Aniversario de la Federación de Chiapas a México" (in Spanish). ↑ "Decreto. Constitución federal de los Estados-Unidos Mexicanos" (in Spanish). ↑ "Decreto. Se señala á México con el distrito que se expresa para la residencia de los supremos poderes de la federación" (in Spanish). ↑ "Decreto. Se declara á Tlaxcala territorio de la federación" (in Spanish). ↑ "La Suprema Corte en las Constituciones Centralistas" (PDF) (in Spanish). Archived from the original (PDF) on June 12, 2007. Retrieved April 25, 2010. ↑ "Division Territorial de los Estados Unidos Mexicanos de 1810 a 1995 (Page 27)" (PDF) (in Spanish). ↑ "Division Territorial de los Estados Unidos Mexicanos de 1810 a 1995 (Page 28)" (PDF) (in Spanish). ↑ "Division Territorial de los Estados Unidos Mexicanos de 1810 a 1995 (Page 29)" (PDF) (in Spanish).